Wet n Wicked water park has something for the whole family. 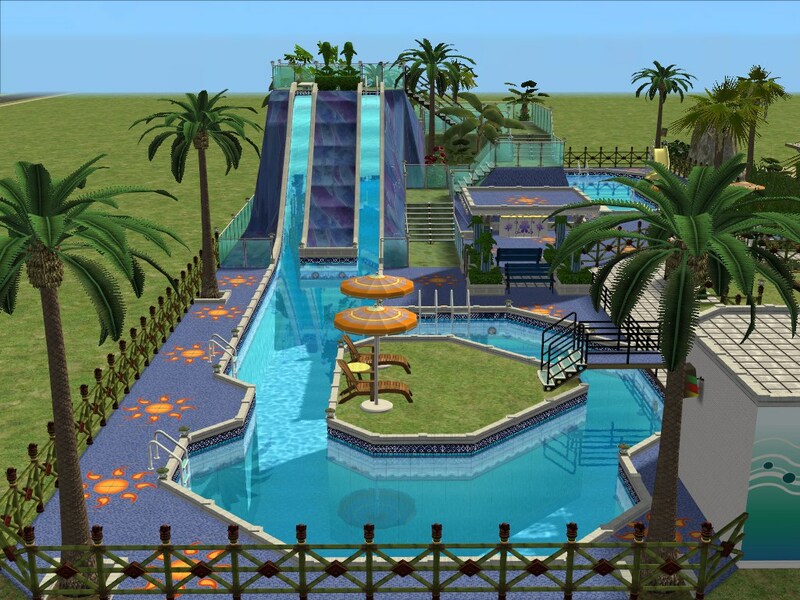 Brave sims can dive down daredevils slide or take the forest slide to the pool bar. 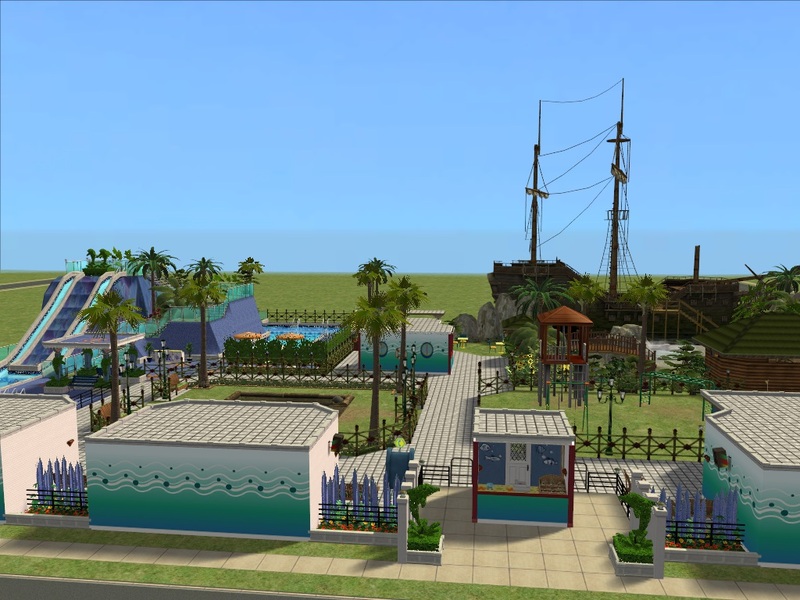 *The park is designed to make sims use the pool to access the bar. This ensures non playables use your pool. If quicker access is wanted there is room for a gate. Dad can show off- or fall off a log, dual with a 'pirate' or have fun buying himself a pirate outfit in the Pirate Bay shop. 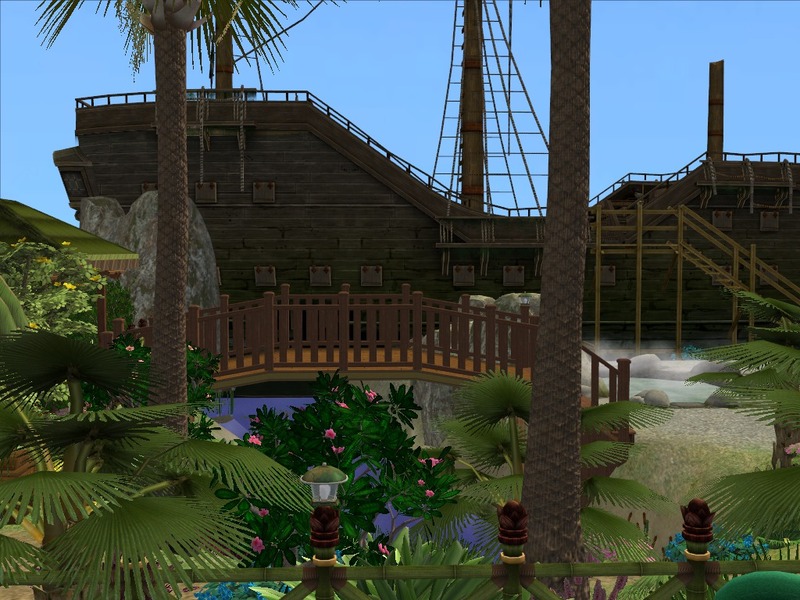 If you explore you might also find some hidden treasures around Pirate Bay. 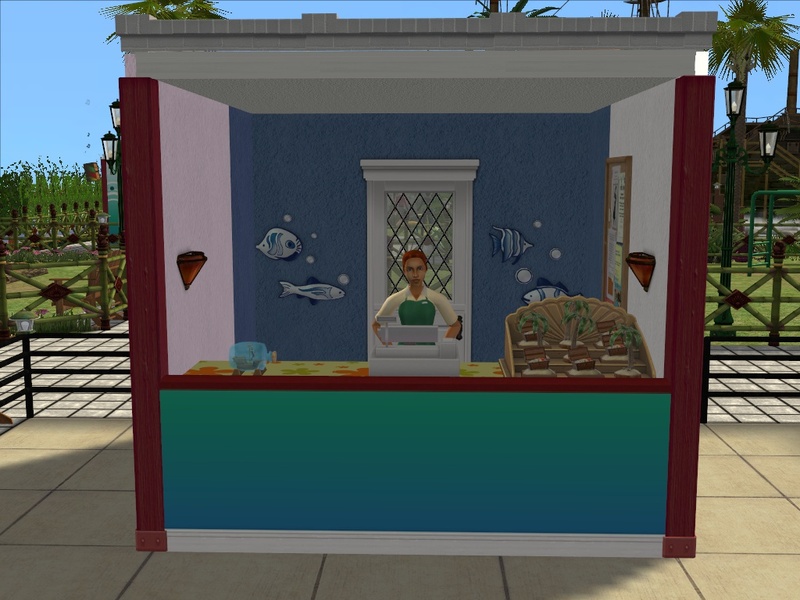 *Things cannot be bought at the front ticket booth, only at the shop. 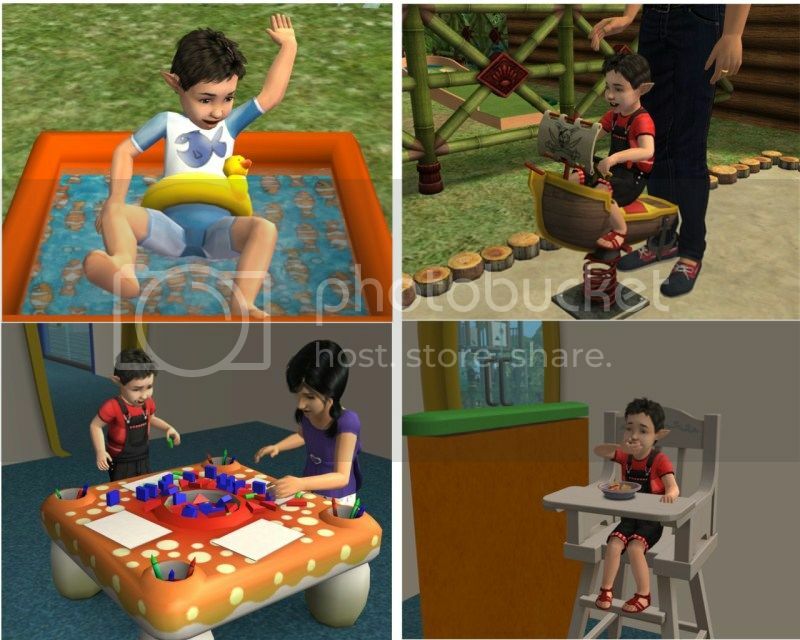 While children can participate in many activities with their parents they also have their own play ground and home corner in the day care area. Instead of waiting at the restaurant they can bake a muffin-results not guaranteed. 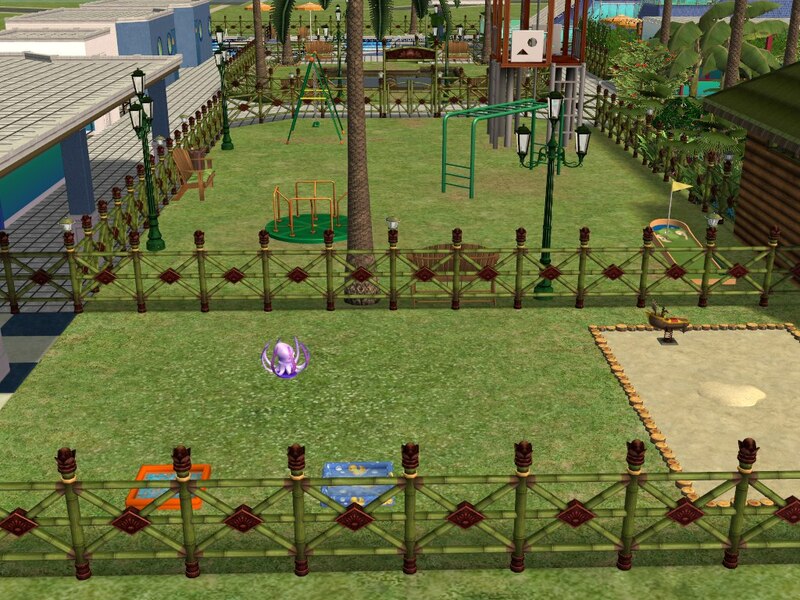 The toddler area has everything your little one needs for a splashing good time. Outside they can make a splash in the paddling pools, ride a pirate boat or bash out a tune on the seashells. Inside they can play with the blocks and draw before having a bite to eat and a nap in one of the comfy cots. Potties also provided-parents please use the provided bin or toilet to empty them. This park has some steep and uneven edges due to the water slide and pirate bay landscaping and will distort neighbourhood terrain. Best placement is slightly away from other lots in a high terrain neighbourhood. Low lying hoods will have flooding to the beach area. This doesn’t hurt play only aesthetics. Sims will still sit and roast their marshmallows underwater. 557 people have said thanks to joandsarah77 for this download. Silver Stone Trace - A spacious five bedroom and five baths house, No CC.